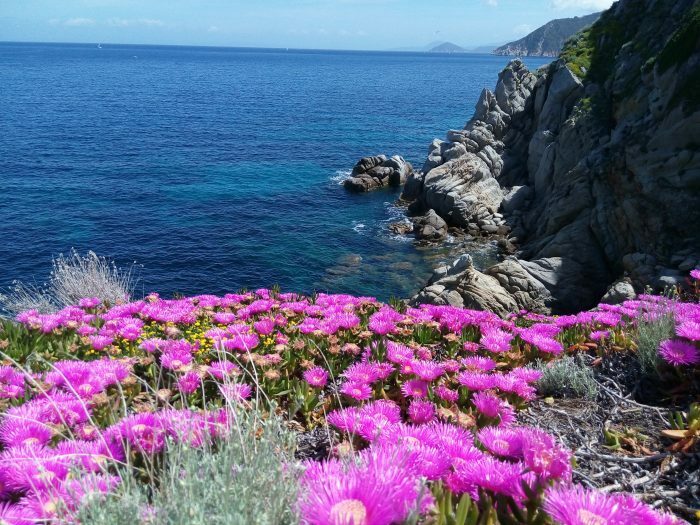 Island of Elba is one of the most beautiful Mediterranean islands. 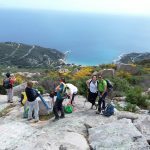 Not only surrounded by wonderful, crystal clear sea, the island is famous also with rich history, wild nature and impressive mountains. 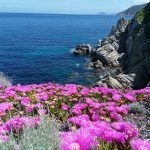 We will stay in a small seaside village Marina di Campo, located in the southern part of the Island of Elba, and from here we will depart on several excursions to discover the territory – ancient forests, steep cliffs, green valleys and rocky mountains. The small, beautiful beaches give a special charm to the island. We will see and even take a rest at some of them during our excursions. We will start from the graceful S. Piero village and leave behind us the fields covered with blooming bushes. We can see from here Costa del Sole, Pianosa and Montecristo islands and a bit further – the coast of Corsica. 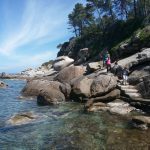 After a walk through the ancient setllements, Roman granite mines and other historical evidences we descend to Cavoli beach where we will take a well deserved rest. 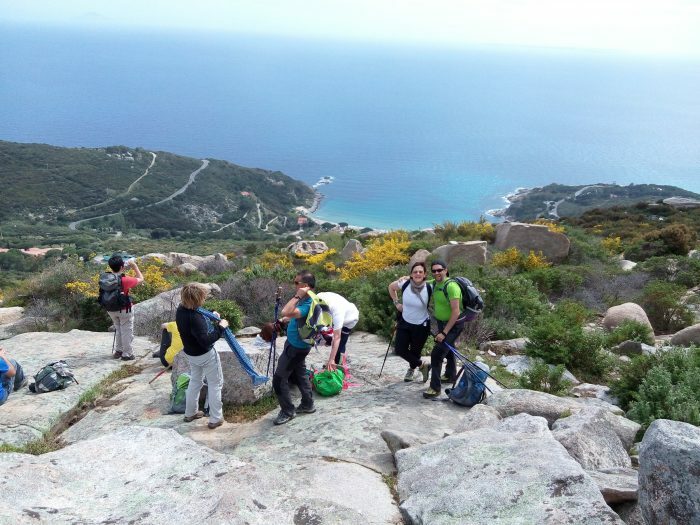 Today we start the trek from Colle Palombaia, an exciting location that absorbs all the energy of the sea. 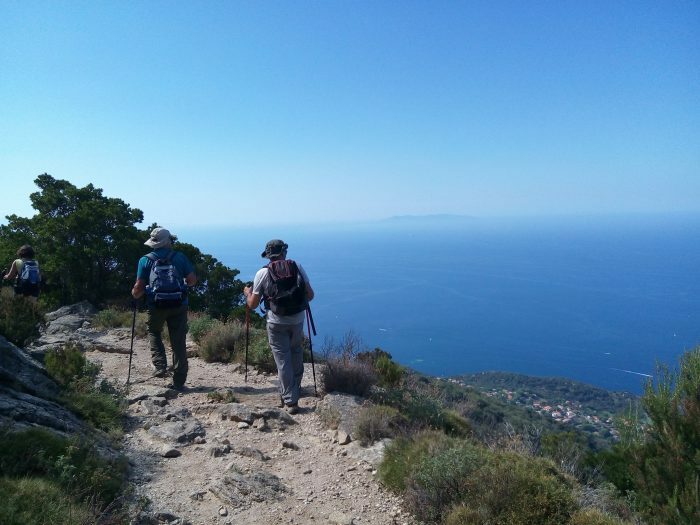 After walking in the shade of beautiful oak woods, we will reach the pretty Capo Poro spotlight, which offers a breathtaking view on the immense Tyrrhenian Sea and some islands of Tuscan archipelago. 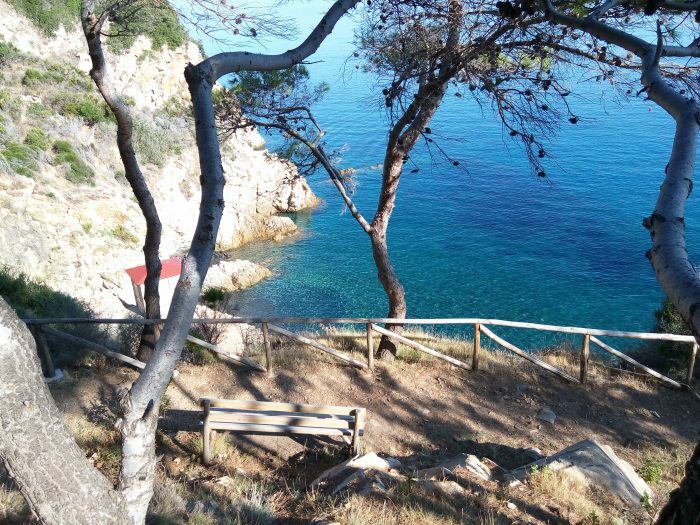 From here we will climb down to the fabulous beach of Galenzana. 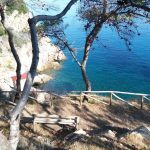 We start from Marciana Marina village and follow an ancient road which once connected the coastal villages. We will stop at a few really wonderful beaches. 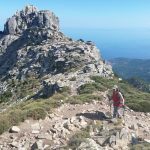 Through a chestnut tree forest where it is possible to meet even some deers, along a rocky path we ascent until the rifugio – a stone building where once the local shepherds lived. From this point the path becomes more panoramic and enjoying the beautiful panorama around us we arrive at the top of the mountain. 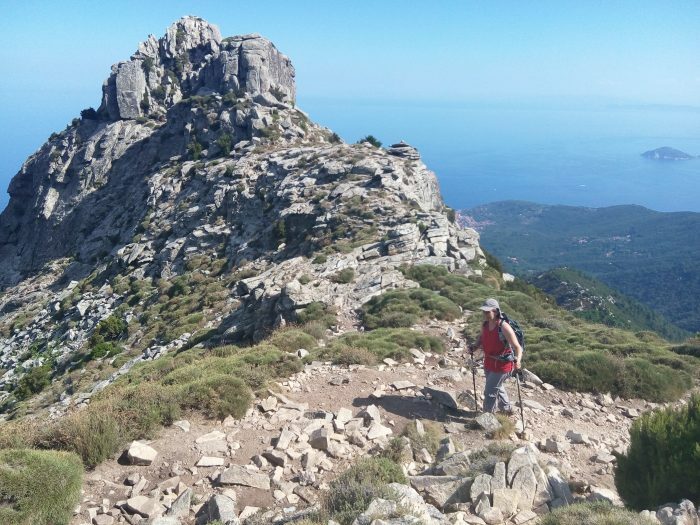 Monte Capanne offers an unforgettable view over all the island of Elba, the coast of Tuscany and Corsica. 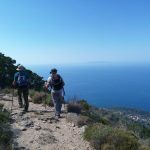 Today we will walk from the Stella Gulf to the Gulf of Lacona along an easy and beautiful route between the Mediterranean garrigue overlooking the beautiful sea in front of Capoliveri. 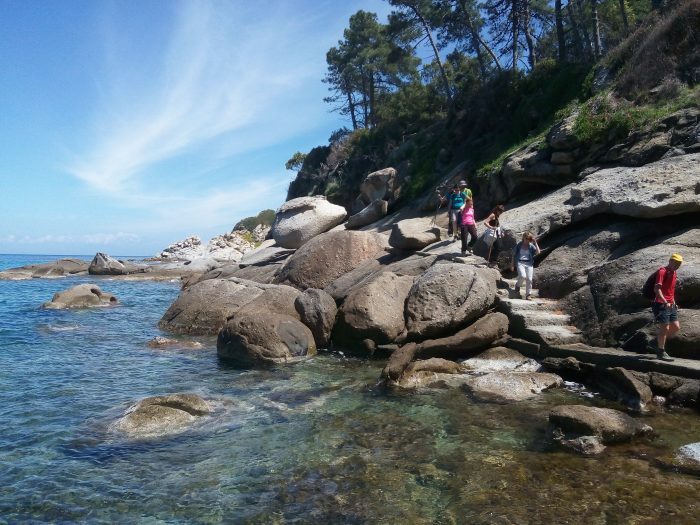 After some rest and bath in wonderful coves, we will visit the fabulous beach of Lacona. In the afternoon a visit to the charming little town of Capoliveri is a must.